I’ve written (ad nauseum) about the planning and cancellation of our trip to Vietnam you can read about it here, here, here, here, here, here and here, following my accident, which you can read about here. We planned on being gone for two weeks; with Vietnam postponed until 2013, we now have two extra weeks of vacation to use. We are taking one (plus) week in Europe, visiting the UK (Olympics), Spain and France. We’ve got another week we need to use (technically we have more than a week to use, but we have a week we planned to use in Vietnam that we didn’t get to use). MS has always been a big fan of the State and National Park System — and to be quite honest, I haven’t visited many. He also loves a nice road trip. Me not so much. Let’s see if I can plan a trip that incorporates some of these things — passions of his but things that I haven’t really experienced. 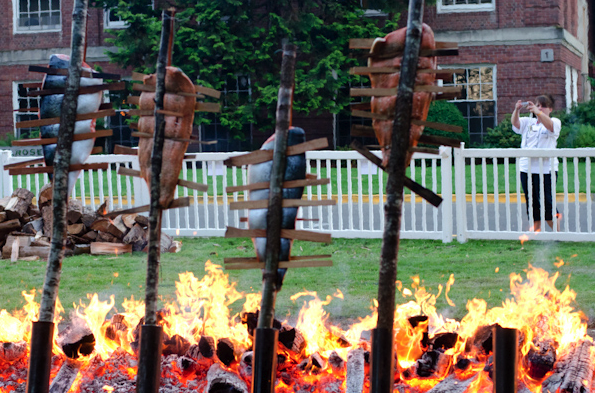 Last year we spent a weekend at my alma mater (Linfield College) for the International Pinot Noir Celebration. This is a 3 day event full of wine tastings, winery tours and amazing food. We didn’t opt for the full three day package last year, but we did attend the main event – the Salmon Bake on Saturday night, followed by the Sunday afternoon wine tasting. I initially didn’t want to do the full weekend package, which includes lectures/seminars — I was afraid these lectures/seminars would be a little too stuffy and take away from the whole experience. Two friends (EAD and JFB) did the full IPNC weekend last year and loved it. We absolutely loved the Salmon Bake and the Sunday Tasting. Let’s do the full weekend package this year! I figured we could combine these two trip ideas (National Park Road Trip and IPNC) into a nice 10 day trip. Since we’ve both got friends in Seattle that we’ve wanted to see for a while we figured we should tack this on too. We are still working on the logistics for the whole week, but so far the plan is to spend the weekend at IPNC, the head down to Crater Lake and spend two nights. Then we’ll head to the Oregon coast, since I haven’t been there in probably 11 years, for a night. We’ll then head up to Seattle with a day (no night though) in Portland. 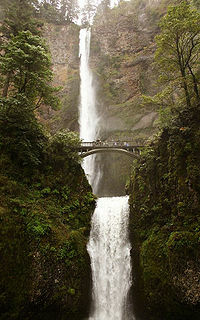 We’ll see some friends and visit Multnomah Falls. I haven’t been to Crater Lake or Multnomah Falls before. I know, I am a bad Oregonian, eh? I think we’ll stay in either Newport or Lincoln City — because we’re coming from Crater Lake and we don’t want to spend all day in the car. I think Cannon Beach is just a bit too far. What else should we do on this 10 day road trip? Have you been to IPNC? Do you have any suggestions on alternate attractions around Crater Lake or on the way to Newport? What is your favorite destination along the Oregon Coast? 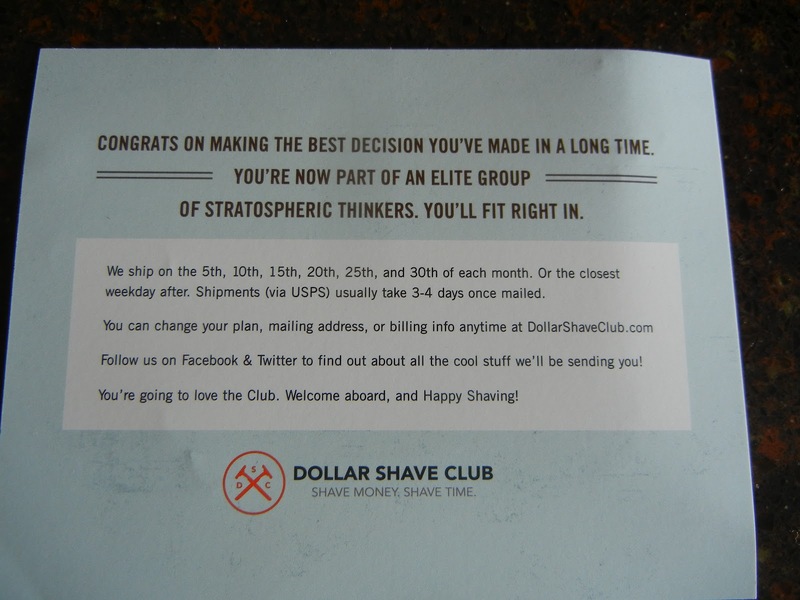 Last month I mentioned an interesting website called Dollar Shave Club and how while I was a bit skeptical, I did sign up for it. Well, 5 weeks later my first shipment arrived. My credit card was charged the day I signed up, of course. 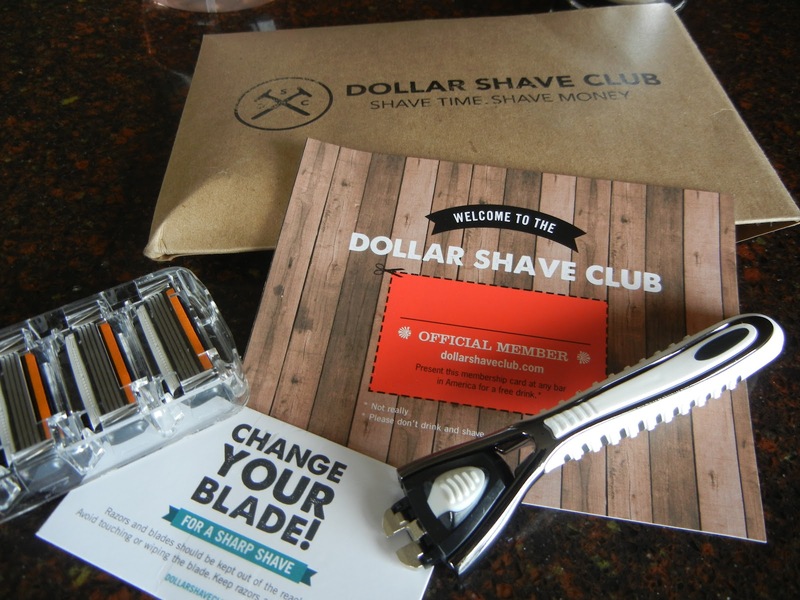 Your first shipment arrives in a brown paper envelope filled with 4 blades (depending on the program you sign up for, of course), a welcome note and a handle for your new razors. The razors cannot be used on another type of handle (that I am aware of) but they throw in a handle with your first purchase. 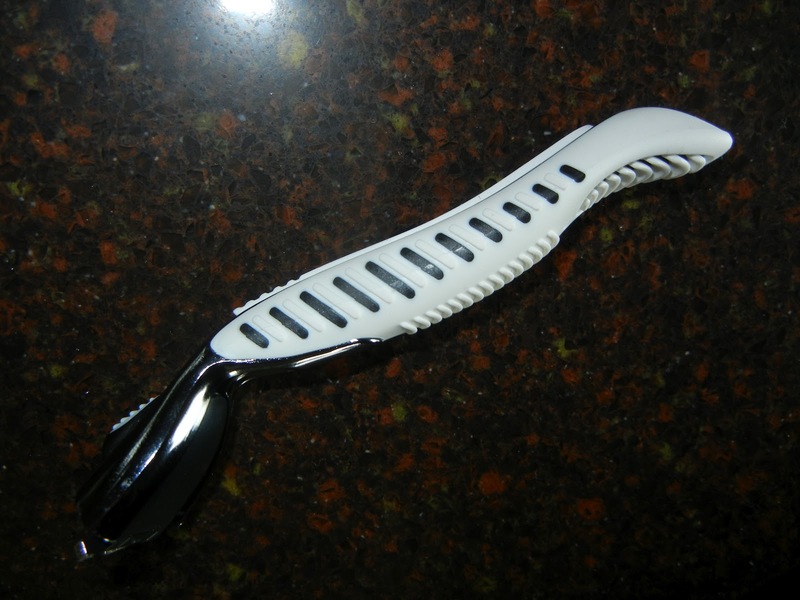 The handle is pretty big – much bigger than the handles the come with regular supermarket razors. It actually felt pretty good, a nice ergonomic design. So, how are the razors themselves? Well, I tried them this morning, after 3 days of growth and the razor was pretty good. I traditionally use Gillette Fusion, which cost about $3 from Drugstore.com or up to $6 at Jewel or Target. These cost just $1.50 each. If they have the staying power of the Gillette blades then this sounds like a good option. The razor did do a good job of chopping through my stubble. What is my final verdict? Well, the price is great. The first shave was pretty good. I think I will give it a month or two and see how it really work in the long haul. Have you tried this product? Do the razors actually arrive when you expect them to? How many shaves do you get with a single razor? How long have you used these blades? If you want to try them our and you are feeling generous, sign up using my link (using my link will give me a free month of razors). Everyone I know just loves Barcelona, so why do I hate it? Well, hate is such a strong word. Let me walk through my thoughts/hatred. I visited Barcelona once, in High School. It was my first trip abroad (EF Tours – great operator who really sparked my love for travel) and we visited Madrid, Barcelona, Nice, Monte Carlo, Florence and Rome. All in 10 days. I absolutely loved Madrid. It was the first foreign city I ever visited and the first place I was ever able to use a foreign language skill successfully — probably also a reason I love language study now. It was spring break — March 1996. Madrid was warm (22C) and sunny. It was amazing. Barcelona was cold (less than 10C). We had to spend more time on the bus that we did in Madrid. Our jet lag was really starting to kick in while in Barcelona, so we didn’t go out at night. In Madrid we were out every night – just spending time on the Plaza Mayor and enjoying Chocolate con Churros and people watching. I even had my first flamenco experience (which I loved). Back on topic. MS, the better half, loves Barcelona. It is his favorite city. He studied there in High School (also with EF Tours, I believe) and returns every couple of years. After we cancelled out trip to Vietnam you can read about it here, here, here, here, here, here and here. I was racking my brain to find a great replacement. I don’t have anything specific that I hate about Barcelona, I just don’t have a memory of loving it. I obviously didn’t get to really experience the city. I am comparing Barcelona to the other cities on this High School trip, which is completely irrational, I know. I would have been perfectly happy never returning to Barcelona again. That is horribly short sighted though. Especially since MS loves it. There has to be something redeeming about Barcelona, right? I love architecture, so that would be something, right? 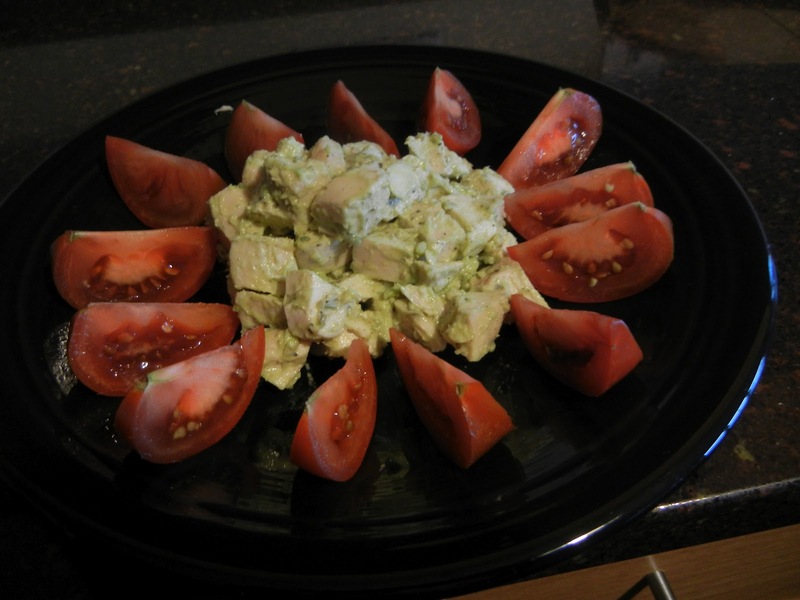 It is a major city, so it has to have good food, right? So, I really don’t hate Barcelona, I just need to really experience it. Have any of you been to Barcelona? We are spending 3 days there over the summer, what should I do? What should we steer clear of? Where should we eat?